Any quantity only $99.99 per oz over spot! 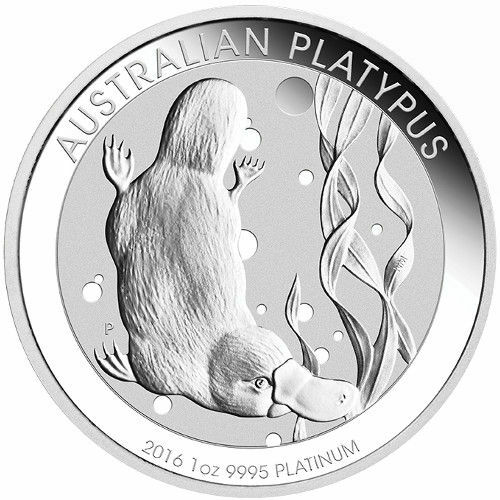 One of the lesser-known bullion coin programs from the Perth Mint is the Platinum Australian Platypus coin. Sharing commonalities with the mint’s more popular Silver Koala, Silver Kookaburra, and Silver Kangaroo coins, these Platinum Platypus coins also stand out in the crowded field of Perth Mint products. Today the 2016 1 oz Platinum Australian Platypus Coin is available on Silver.com. Sixth release of the Platinum Platypus coin! Ships in a protective capsule for individual coins, mint-sealed rolls of 20, or boxes containing 100 coins. Features the platypus on the reverse. Each of the 2016 Platinum Australian Platypus coins available on Silver.com in this product listing has a Brilliant Uncirculated condition. Coins with a BU grade show no signs of wear and tear, though you are likely to see breaks in the luster, contact marks from striking, or spotted surfaces. The Platinum Australian Platypus coin is an annual bullion program similar to its well-known silver counterparts. 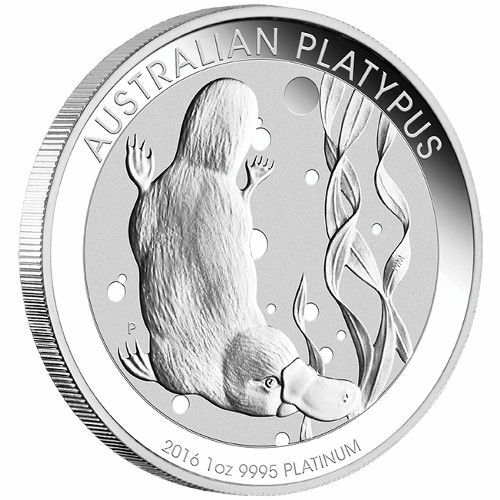 A unique animal species native to the Australian continent, the platypus, is the primary inspiration for the coin’s design. However, while those other coin programs rotate the design features each year on the reverse, the Perth Mint uses the same platypus design each year. Platinum Australian Platypus coins were introduced in 2011, and all 30,000 of the coins from that year sold out. 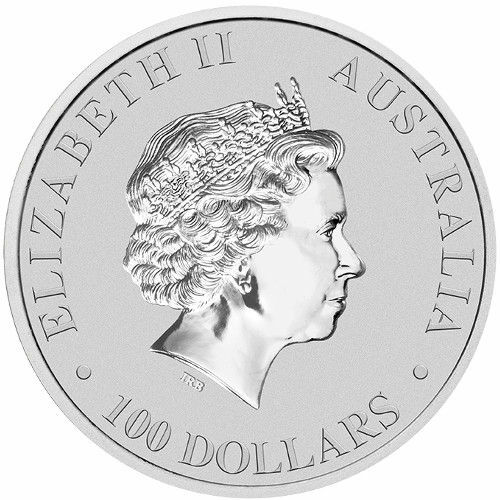 After limiting mintage in the first two years of production, the Perth Mint has since adopted an unlimited mintage (or mint-to-order) approach for the program. The reverse face features the image of a platypus swimming through a body of water. The creatures are found only in Australia, and their habitat consists of freshwater lakes and streams on the continent. The Perth Mint was founded in 1898 as the third and final facility in the British Royal Mint system on the continent. Following the closure of the Sydney and Melbourne locations, the Perth Mint remained as the nation’s oldest operating facility. If you have questions, please contact Silver.com at 888-989-7223, connect with us live online using our chat, or send us an email.